Test your real-world skills and qualify for many City jobs. WorkKeys is a national assessment tool that uses multiple-choice tests to measure real-world skills and career readiness. WorkKeys helps identify the level of skills you possess to determine your potential for success on the job. While WorkKeys scores are only required for some of the City of Albuquerque's positions, knowing your scores can help you determine your skill based levels and be used as a recognized credential in the hiring process. The City of Albuquerque still considers education, resumes, and credentials for many positions. Through WorkKeys, the City can also consider applicants who do not have educational credentials or are new to the workforce, starting a new career, or returning to work. Monday, Wednesday and Friday: 8:30, 9:30 and 10:30 a.m.
Tuesday and Thursday: 1:00, 2:00 and 3:00 p.m. Learn more about the WorkKeys Assessment. Maybe you don’t have a college degree or a lot of experience on your resume, but you do have the abilities and knowledge to do a job well. With WorkKeys, you can measure your skills, qualify for jobs, and stand out from the crowd. Each assessment will take 55 minutes to complete. These assessments are proctored and given at authorized locations. There is no cost for taking the assessments. 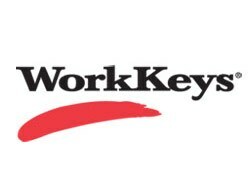 WorkKeys provides eight core assessments, including applied mathematics, locating information, and reading for information. Scores range from 1-7, with 1 indicating low skills and 7 indicating high skills. If you achieve the required scores in each assessment area, you will need to attach your official WorkKeys transcripts to your online application. Your application will not be considered without valid WorkKeys scores. You may take the WorkKeys assessments as many times as you like; however, please note that each test may be taken no more than two times at one testing location within a 30 day period. These City positions require minimum WorkKeys assessment scores in order to apply. Please click on the position you are applying for to learn what you must do to take the required assessments and how to enter and upload your WorkKeys Transcripts when completing the online application. These City positions require minimum WorkKeys assessment scores in order to apply. Please click on the position you are applying for to learn what you must do to take the required assessments and how to enter and upload your WorkKeys Transcripts when completing the online application. All positions not in the above WorkKeys-Required list are WorkKeys Preferred Positions. Although WorkKeys scores are not required, it is preferred that applicants complete "Reading for Information," and "Locating Information" and upload or attached your scores with your job application. WorkKeys gives you a clear picture of your current skills. If your scores are not as high as you would like, you can improve your skills for free and then take the test again. KeyTrain is an online program that will help you improve your skill scores by at least one level. The more you increase your skills, the more access you'll have to better-paying jobs. Request a KeyTrain Account online or by calling Public Service University at (505) 768-3200. Schedule your WorkKeys assessment online or by calling Public Service University at (505) 768-3200. You will need to reserve four (4) blocks of time to take all four assessments.